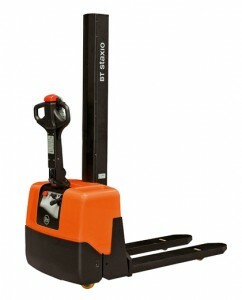 Within the BT Staxio W-series there are 11 stacker truck models. 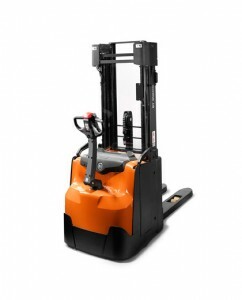 Our compact HWE models are most suitable for light-duty material handling applications, such as in shops and offices. The other nine stacker trucks are best used for high intensity stacking, (un)loading, horizontal pallet transport and order picking. Simply designed, these powered stackers are safe and durable, with a load capacity of up to 1.4 tonnes. The heavy-duty SWE models ranging from 1.4 up to 2.0 tonnes are built to lift heavy loads to high lift heights. The compact design, the user-friendliness, the high performance and excellent visibility through the mast make the BT Staxio W-series suitable for a wide range of applications. Safety is enhanced by features such as reduced speed when cornering and temporary speed reduction. 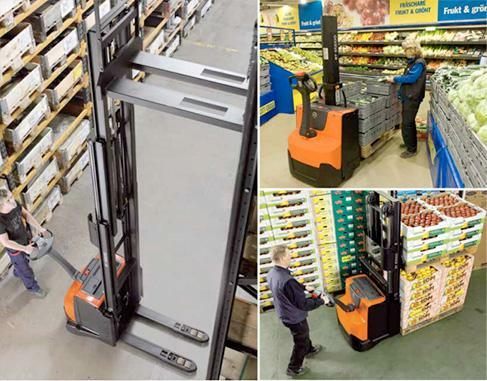 Within the BT Staxio W-series, the HWE100 and HWE100S are both lightweight and compact powered stacker trucks, suited to light-duty material handling. With a load capacity of 1 tonne, these stackers are suitable for a variety of applications, as a result of the easy-to-use controls, ergonomic steering and maintenance-free batteries with a built-in charger. 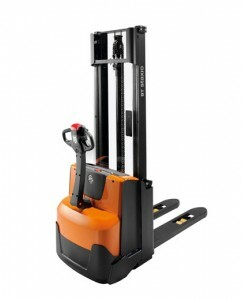 These truck features also provide simple and safe pallet movement and can be easily manoeuvred. The nine versatile stacker trucks within the BT Staxio W-series come with BT Powerdrive as standard, allowing ease of use, performance and efficiency. 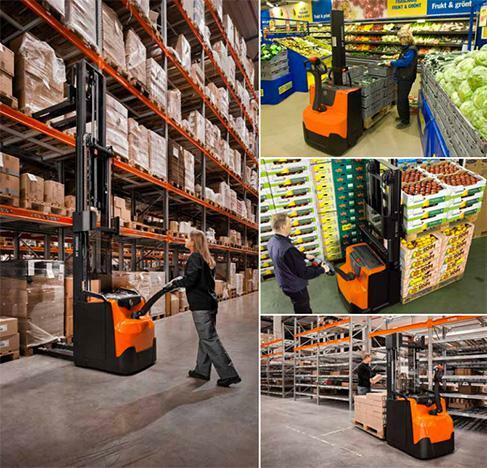 Offering load capacities from 0.8 to 1.4 tonnes, these powered stackers come in different versions with fixed, elevating or straddle support arms. 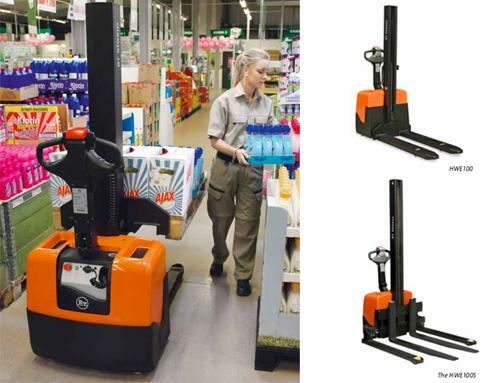 With excellent visibility through the truck mast, these stacker trucks provide intuitive controls and can be driven with the handle in upright position for better manoeuvrability in tight spaces.